Fine Art Prints and Canvas Wraps are printed directly onto fine art archival substrates using a large format ink jet printer. Your image is printed larger than the final size and the print is laminated then wrapped around a thick wooden stretcher bar. Framing paper covers up the back of the bars and metal hangers and bumpers are applied to the corners. The Gallery Wrap is ready to hang with no additional work needed. 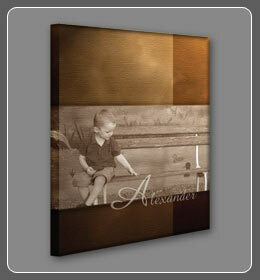 All Gallery Wraps are protected with a special laminate designed for canvas prints. Your Gallery Wrap will be protected from scruff and scratches, and the laminate offers UV protection. Lamination is included in the price of your Gallery Wrap. Gallery Wraps are available in virtually any size up to and including 36"x48" and expanding. All stretcher frames are produced in-house along with laminating processes and stretch machinery. Our most common sizes are available in ROES. Fine Art velvet paper is a thick heavy stock that is similar in appearance and feel to watercolour. It is 100% cotton, acid free and archival paper. This is an outstanding paper for when you need something out of the ordinary for your clients.